Rebecca Mae Turned 3 Months Old! 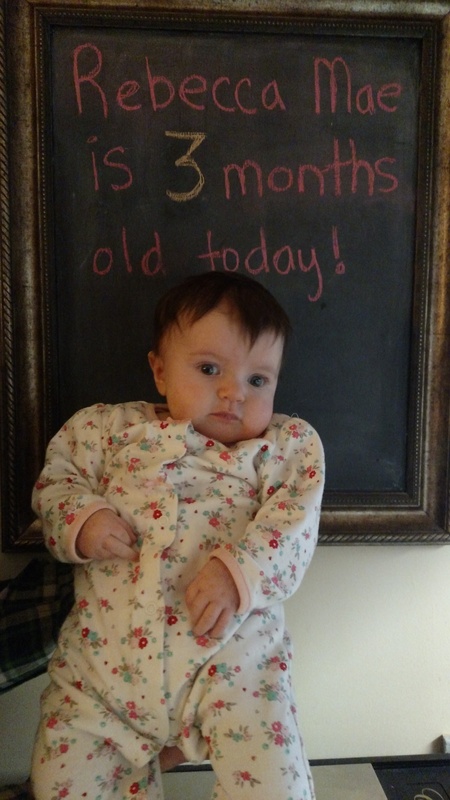 2-15-16: Rebecca Mae is 3 months old today! Rebecca Mae is 3 Months Old! She has been growing and developing very well. She weighs about 12.5 Lbs now. 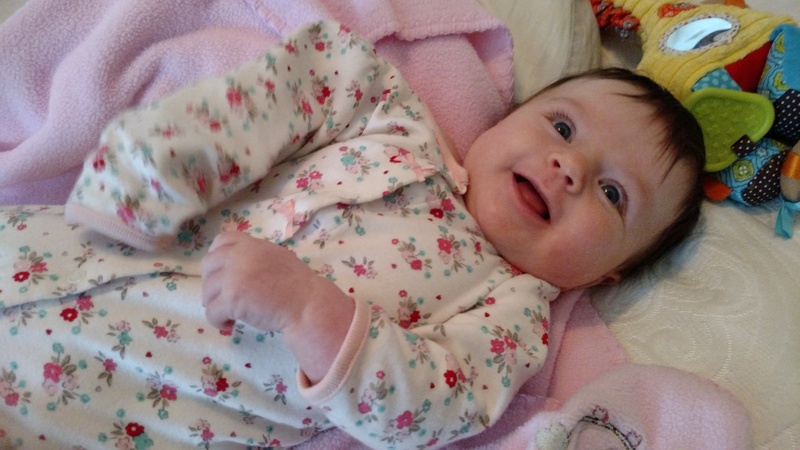 She has made a lot of progress in her development too, she smiles and has started to giggle and laugh. Holding her toys on her own! Rebecca has been working on grabbing her toys and other things that come in range. To her parents’ delight she has been getting much better at falling asleep on her own; we can lay her down and she quickly falls asleep!